At our first assembly this spring my little niece leapt up to tell all that her mother was gone from this world. This angered her grown sister, who had wisht to give the newes. There was an exchange of insults between them, and I thought they would come to blows. But my little niece yielded, as is proper, and crept over to me. She still has the scents of my sister about her, most pleasing to my nose. none of whom displays her wits. When shall we know such another? All that’s left t’us is her brother. I knew not what to think of his song, but it would have made my sister merry. Many praised it, and called for it again. Then some sang with him. 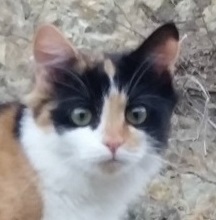 I told her that was no way for a young cat to speak of her betters. I also sayt that Nero is a poet, and may be forgiven a fool word or two used for the sake of his rhyme. She seemed about to make a sharp retort, but then Linkin came forward with newes from London. Item: Old Lord Purrlie’s granddaughter, that he hoped to see wedded to our Earl, has married the Earl of Derby. 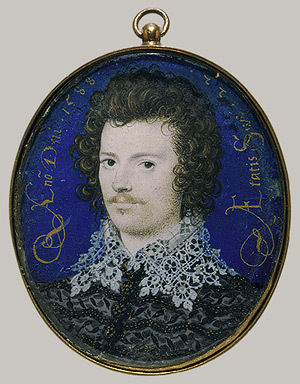 A Nicholas Hilliard miniature of a young man, probably the Earl of Essex, in 1588. “Now Lord Purrlie may lie smug in his bed,” sayt Linkin. Many cats were joyed to hear it. The promise of scandal, I mean, not newes of the wedding. Item: There is talk that our Earl must pay Lord Purrlie five thousand pounds. I think my little niece spake true. 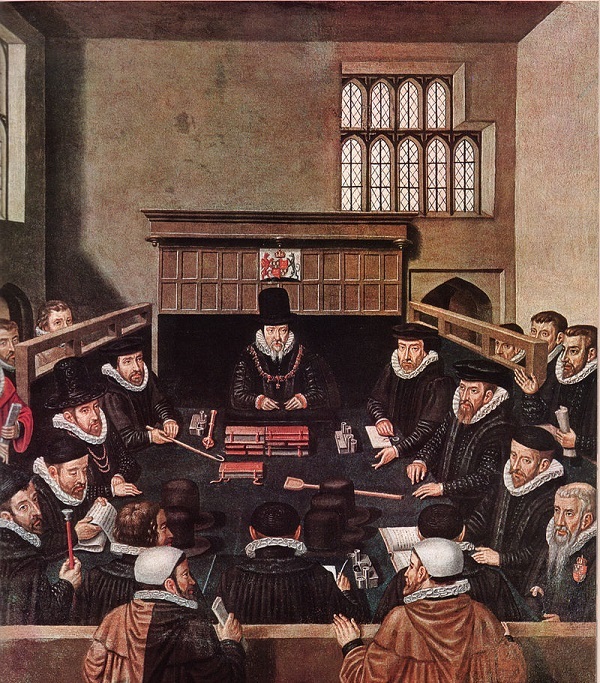 Linkin then told what he knew of the workings of the Court of Warts, like the law cat he is, giving out many Latin words and other strange saws [sayings]. Too tedious to set down here. Lord Purrlie, better known as William Cecil, Lord Burghley, presiding over the Court of Wards & Liveries. I slipt away, as did several others. I was near my house before I nosed my little niece following me. I arrkst her what she did, even though I’d guessed. “I’ve come to dwell with you,” she sayt. I do believe she may grow to be a tricksie queen. Elizabeth de Vere (1575 -1627) married William Stanley, 6th Earl of Derby (1561-1642) in January 1595. Incidentally, William Stanley is another – along with Elizabeth de Vere’s father, the Earl of Oxford – who’s been proposed as the writer of “Shakespeare”. The Court of Wards & Liveries (to give it its full name) oversaw the management of the royal wards. Officially the Queen’s, their guardianship was sold to others. The advantage in having a royal ward was twofold. Along with administering part of their estate and receiving income from it (a practice open to abuse), you had the “benefit” of their marriage. That is, the right to arrange it. Marrying an heir to a member of your family was an attractive option. Wards were under no legal obligation to accept their guardian’s choice of spouse, but one who dug his or her heels in (as the young Earl of Southampton did) could find themselves having to pay their guardian a substantial fine when they came of age. There’s no record of the Earl of Southampton ever paying Lord Burghley £5000, but it seems generally accepted that he did. There’s some additional info here about the Court, and the young Earl’s wardship and financial situation.